Wearables are getting smarter, more stylish, and now offer enhanced performance features, making your watch nearly as valuable as your smartphone. After Apple’s annual, world-stopping September press conference, the world now excitedly awaits the release of the Apple Watch Series 3, which adds built-in cellular capacity to an already impressive device. While it’s likely a revolutionary device upon its launch, there are other products capable of many of the same things — even if they’re not quite as smart. The Fitbit Ionic is available for pre-order for a cheaper price and offers exciting new features of its own, including upgraded fitness tracking and music storage. In addition, the Garmin Vivoactive 3 is impressive with its contactless payment solution and tons of preloaded applications. So, is the most expensive smartwatch on the market worth all the hype? Let’s put these three devices side by side. Smartwatches are getting smarter — and the performance of your watch is beginning to matter as much as it does for your phone. With all three products featuring GPS, the only stand-alone spec is the Apple Watch 3’s LTE capacity. Apple is the only company that’s released information on its engine, highlighted by a 70 percent faster dual-core processor. Without specific details on the other two, we can only surmise the Apple Watch 3 is the most powerful to date due to its necessity to keep up with a constantly developing Apple Store. Apple has always been the innovator of design, boasting sleek and stylish interfaces combined with a variety of band styles and colors. The Apple Watch 3 also sees a welcome return of the rotating crown. This time, however, Fitbit goes head to head, matching the Apple Watch 3’s 1000 nit display. Though still not as sleek, Fitbit upped its resolution to 348 x 250, a huge improvement over its predecessor, the Blaze. Apple boasts two different resolution options: 340 x 272 for the 38mm and 390 x 312 for the 42mm, again inching away for first place. Although Garmin’s Vivoactive 3 keeps up in certain aspects of performance, the fitness-based product lags in fancy display features. With a 240 x 240 resolution display, it trails its competition. Where the Vivoactive 3 makes up ground rests with its durability. All three products are rated to be waterproof to depths of 50 meters, with both the Ionic and the Vivoactive 3 utilizing Corning Gorilla Glass 3. Apple’s own strengthened glass is on par but this time around the Apple Watch 3 doesn’t stand out in terms of durability. We’re going to appoint Apple Watch 3 the winner in this category but by a sliver, due to its 3D touch display and fashionable options. 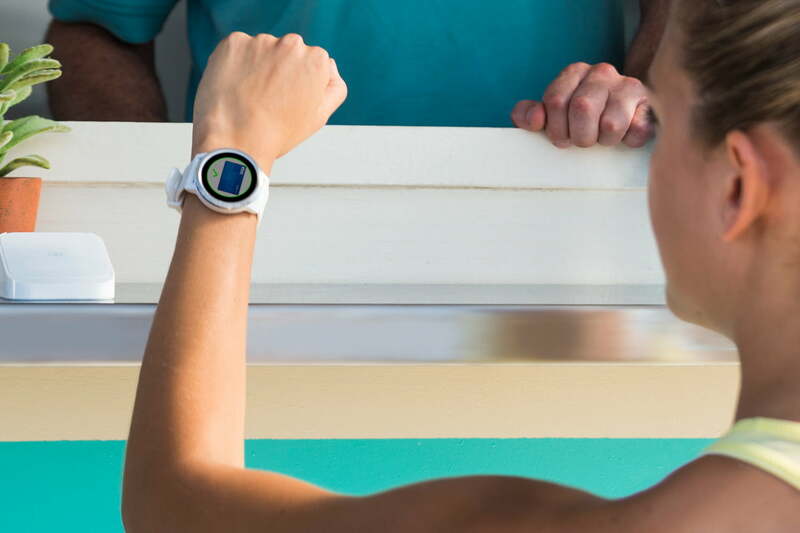 With wearables gaining popularity in the outdoor realm, wearers now require more performance in terms of battery life. A weekend spent camping means two whole days without the opportunity to charge your phone and this is the category where Apple fails to leave a positive impression — and one in which Garmin absolutely shines. Like the Apple Watch Series 2, the Apple Watch Series 3 only offers up to 18 hours of battery life — and even less when GPS is activated. The Fitbit Ionic leaves Apple in the dust with more than four days of battery life. Then there’s the Garmin Vivoactive 3 which stays charged for up to a week. Ideal for extended periods of time in the wilderness or otherwise remote areas, the Garmin’s wearable sets the bar extremely high, albeit with less power-requiring features. While Fitbit and Garmin started out as primarily fitness trackers, Apple has long been reputed for its innovative performance technology. A huge range of WatchOS apps are already available on the Apple Store and the upgrade to watchOS4 features Siri and a ton of additional fitness applications. Fitbit remains much more passive in this category, simply sending notifications to your wrist. The hardware lacks a microphone, handwriting, or voice recognition features and the new Fitbit OS needs time to build up its application library — though, it is still making promising strides. One of Fitbit’s strengths is automatic exercise tracking that doesn’t require user input. Garmin developed its own proprietary OS that supports notifications from your phone similar to the Fitbit OS in a bold launch onto the OS playing field. The watch also supports applications downloadable via Garmin’s Connect IQ library. Health and fitness play prominent roles in all three products, which offer a varying range of preloaded fitness programs. 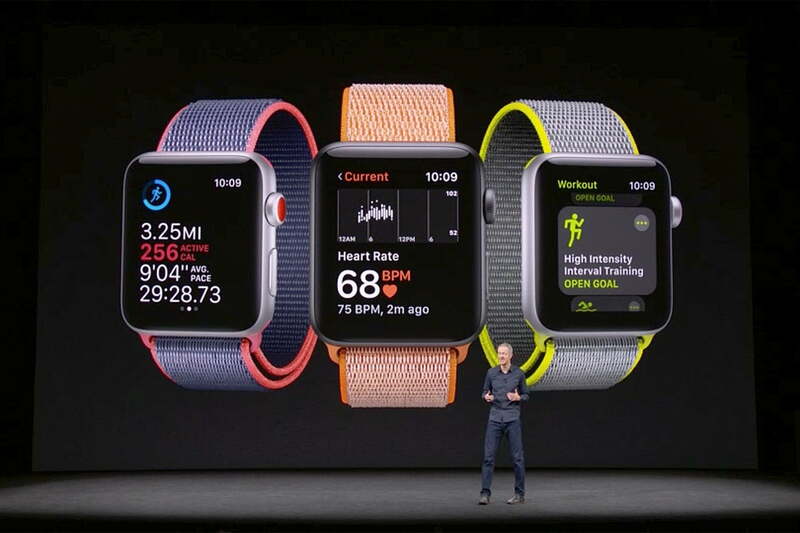 Although all three operating systems display tangible advances in technology, Apple’s Watch 3 again takes the nod here in terms of software capability and its new WatchOS4. While the Apple Watch Series 3 has proven to dominate in most categories, it comes with a hefty price tag — at least if you’re hoping to utilize that LTE technology. However, the price differences between these three aren’t nearly as drastic as you might think. The Apple Watch 3 with GPS costs $330 while the LTE-enabled model bumps it up to $400. The Fitbit Ionic lists for $300, which isn’t terribly far off from the solely GPS-enabled Apple Watch 3. The Garmin Vivoactive 3 also retails at s$300 for the stainless steel version but bumps up to $330 for the black or slate models. The Apple Watch 3 and Fitbit Ionic are both only available via pre-order through Apple’s and Fitbit’s website, respectively. You can purchase the Garmin Vivoactive 3 in stores or online from Best Buy. 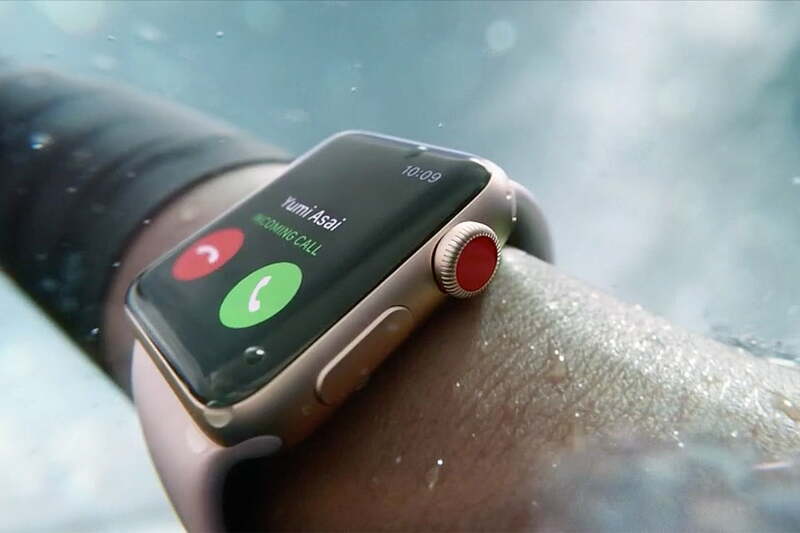 Comparisons aside, the revolutionary integration of LTE capability into a smartwatch earns the Apple Watch Series 3 the most notoriety. Fitbit and Garmin both offer impressive devices of their own, no doubt, specifically in terms of battery life and waterproofing capacities. The Apple Watch Series 3 is simply a sleeker, well-designed product with a more powerful operating system. That is, as long as you have an iPhone. The Apple Watch 3 Series isn’t compatible with Android devices, so if you own an Android, the Fitbit Ionic might be the way to go.